“The Devil’s Trying To Bring Me Down” takes traditional folk song type storytelling and presents it in a style that is a unique combination of blues, rock and gospel with strong lyrical and melodic hooks. It is the first single from the first ever live-streamed professional recording session in the Nashville area. Without any advance marketing or promotions, over 5000 people around the world tuned in to the session on the Meerkat streaming app to watch as it happened live. 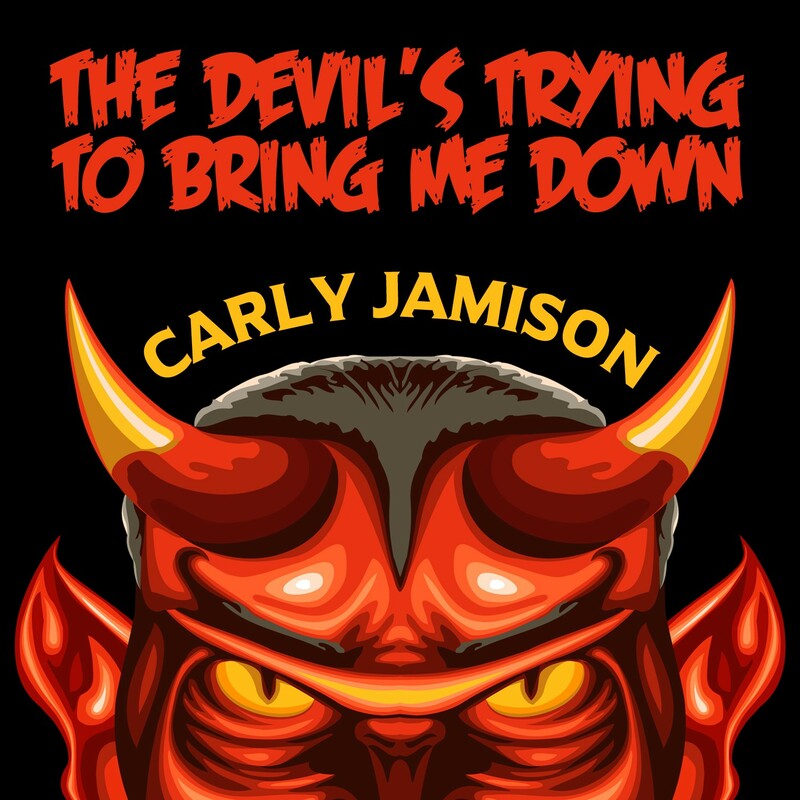 Song written by Carly Jamison and produced by Tres Sasser. Recorded at The Sound Shelter in Franklin, TN, players on the track include Chris Tench on guitars, Tres Sasser on bass, Elton Charles on drums, and Mike Webb on keyboards, with background vocals provided by The Shelter Sisters. It was engineered by Brett Ryan Stewart and mixed by Joe Costa. It was mastered by Pete Lyman at Infrasonic Mastering who is known for his work with Jason Isbell, Courtney Love, Fall Out Boy, Sturgill Simpson, and many others.